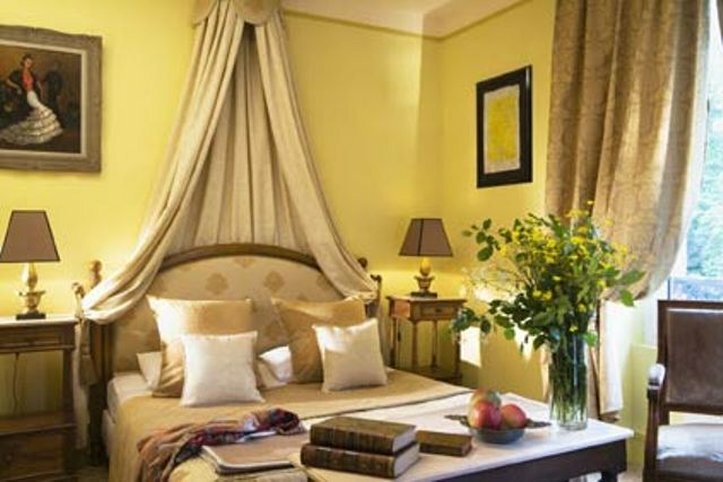 Chateau Les Bruyeres an Empire period residence and 18th century manor house, now lovingly transformed into a charming hotel and gourmet restaurant. 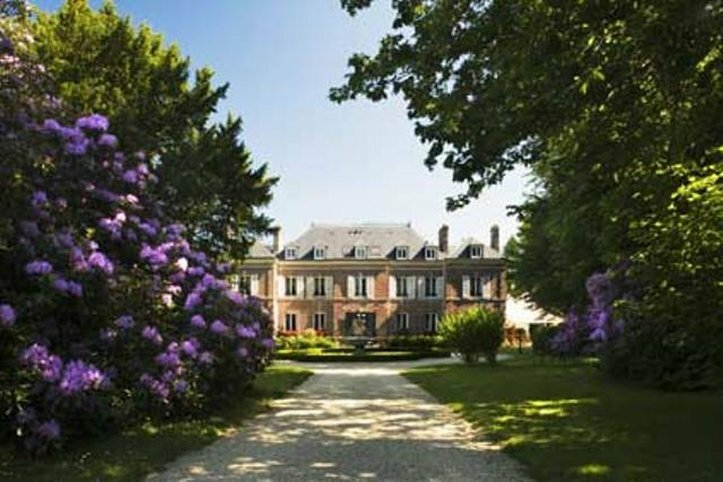 On the edge of Cambremer, the chateau with its delicate pink bricks topped off by a slate roof, is accessed along a driveway bordered by oak trees and rhododendron bushes. 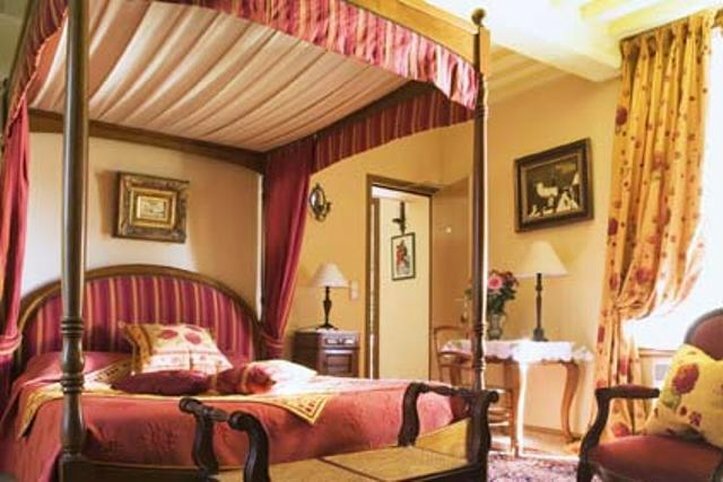 It offers cozy rooms and a spacious suite in both the Empire chateau and the Norman manor house. All are decorated with taste, combining elegance and rustic style. Spacious, elegant and comfortable, it provides the ideal venue for your seminars and business meetings. 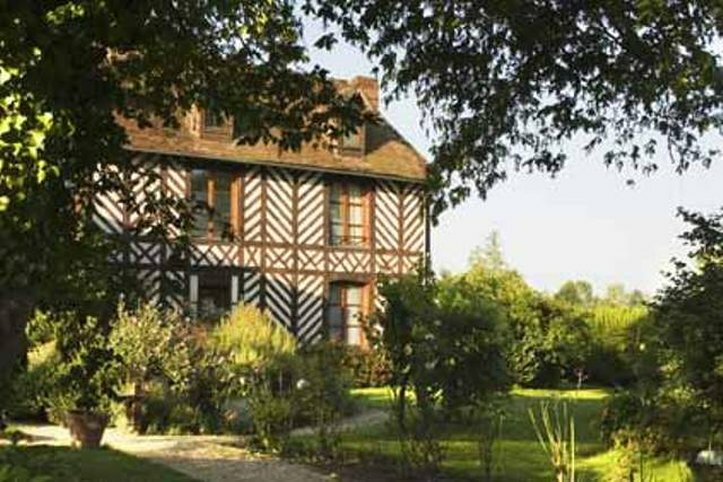 Nestling in the calm of the Pays d‘Auge countryside and with a fine gastronomic reputation, the conditions are perfect for fruitful business gatherings.